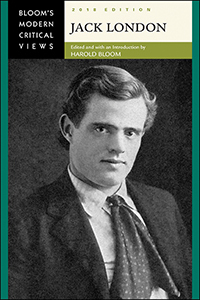 Known for his tales of adventure and coming of age, Jack London's fiction, including The Call of the Wild, White Fang, The Sea-Wolf, and Martin Eden, is hailed for its naturalistic explorations and for its confrontation of notions of heroism and courage. This offering from Bloom's Modern Critical Views presents a selection of critical essays about London and his enduring works. Along with an introduction from master scholar Harold Bloom, a bibliography and a chronology make this volume perfect for students studying this author.